I am a retired school teacher who worked in the field of religious education for thirty-one years, twenty-eight of those as head of a large department in a comprehensive school. I am still involved in RE through voluntary work. Since taking early retirement, I have been involved in spiritual direction/accompaniment for seven years. 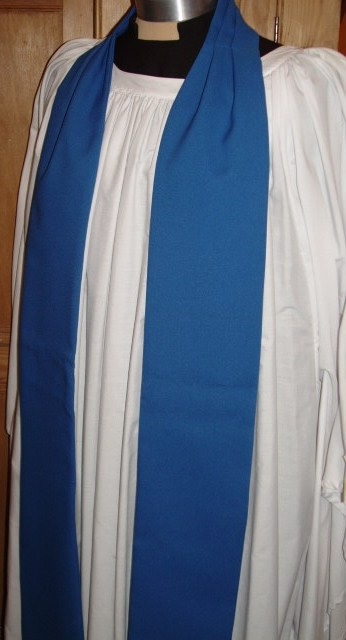 I have been involved in the Church of England for fifty years, as chorister, altar server, study group leader etc. For the past eighteen years I have been a licensed lay minister (AKA Lay Reader). I come from the catholic tradition within the C of E and retain a love for it but many of my suppositions were challenged when I read theology for my first degree: biblical studies was taught from a liberal perspective and I started by challenging this by reading ‘sound’ books. Conservatives might accuse me of being ‘liberal’ but I disown this title. Orthodoxy is a far richer seam to mine. Both conservatives and liberals narrow it down and miss out on so much. My former insecurity that led me to run with the hare and hunt with the hounds is now, I believe, a virtue in that I try to see both sides of an argument. The constant challenge from both perspectives keeps me from complacency and, I hope, rigid dogmatism. My generation of undergraduates was one of the first to study ‘other’ religions. It became clear to me that what others e.g. Hindus and sufis had been grasped by was the same as that which/He who had grasped me. To assert that there is only one true religion is to fly in the face of human experience. So I was also in the first batch of RE teachers who taught multi-faith RE. I worshipped in full-on Anglo-Catholic churches for about twenty years but this did not sit well with what I was learning. Despite the ‘slum priests’ who were our heroes, much that went on was other-worldly, not engaged in politics and social justice, did not match the liberation theology that was going on in the Roman Catholic Church. There was little, if any, engagement with feminism or gay rights. So, although I still owe much to the catholic tradition, I left the ghetto and am content (almost) to be bog-standard C. of E.
Since I started this blog., I have added reviews of films, plays and holidays because, as well as books, they ‘provoke’ theologising. I cannot do that unfortunately. I take it you want to remain anonymous? OK. I understand. Shame though. You have worked so hard and your site is superb. Best wishes. I would be very interested to make contact with your reviewer who wrote a review on “my” volume of Essays “Theology at 16+.” The review was last year, May 1915 I think. I am working on another project which draws on some of the work we did with the Farmington/Ampleforth project a long time ago. Theology at 16+ was published in the mid ‘eighties. Your intelligent review, with its criticisms and approval, is interesting. As you will see from my website, my wife and I live in France and I work in French now – I was Archbishop of Canterbury’s representative at the European Institutions. I have added my email address and the website address to your reply section. All good wishes.